Michelle Mills - Ind. Stampin' Up! Demonstrator Brisbane, Australia: STAMPARATUS is coming! 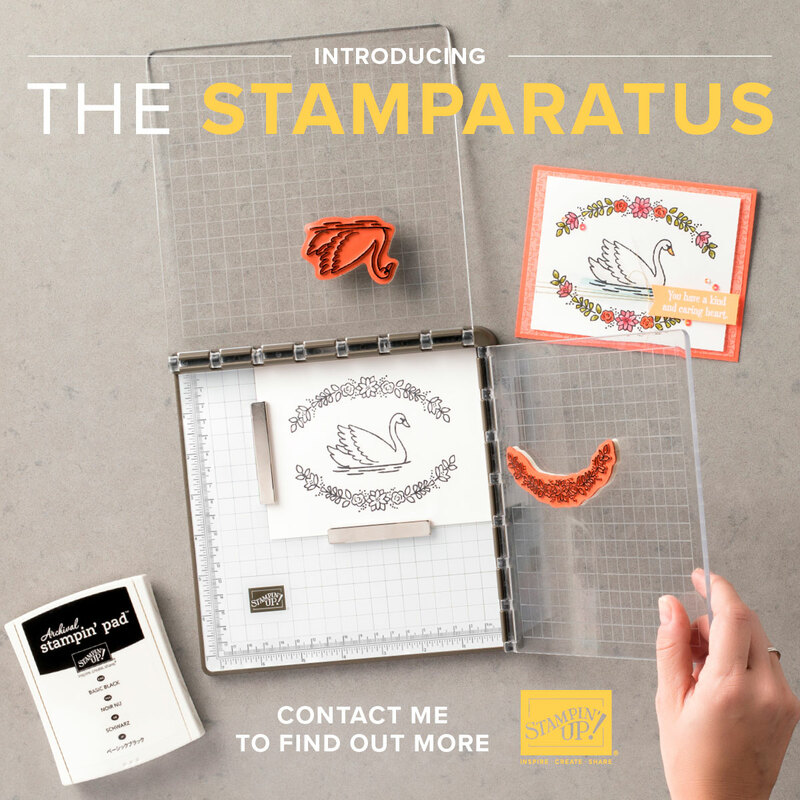 I am so excited to be introducing the STAMPARATUS. 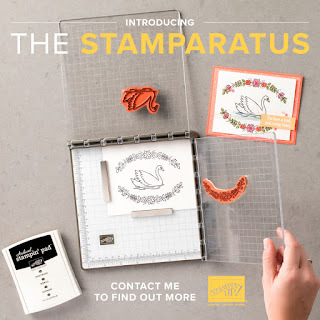 This is Stampin’ Up!’s brand new stamping positioning tool, that is unlike any other on the market. You will definitely want one of these. These are priced at a very reasonable $85.00 and the only way to make sure you secure yours when they hit Australia next Feburary 2018 is to RESERVE one THIS Friday 17th November at 8am sharp. You can reserve yours through my online store HERE. You must sign in to your online shopping account, just like you would if you were placing an order. Then look for the link to place your Reservation. You will need your Credit Card to secure yours but your card wont be charged until the tool ships to you next Feb. I can't wait to get mine and start using it with ease for all my cards. If you have a similar one, another brand, throw it out!